Social media is not just sharing selfies, the food you ate, or videos of a recent vacation. Actors are being told to post more on social media about their outfits to build their following and eventually get cast in parts. It’s been said that some parts have been cast to those who have a higher social media following. 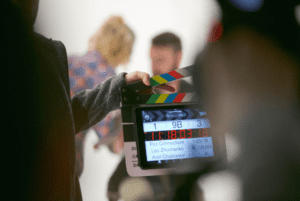 CGTV is a high-level TV, film, and entertainment program helping connect talent to the industry and here are 3 reasons all actors need to be on Social Media. Ever wonder why someone with a higher social media following may be cast over you without social media? It may be partly because without social media, you’re less castable. You are less desirable to networks because you can’t share the project you’re working on to your fans. When you have an active platform and a higher number of followers, you can post about your project which makes you a team player. If you work with CGTV, make sure you have a social media following. Social media helps you to reconnect and build new relationships with your audience. When you post, you are top of mind with your followers and continue building those relationships with your audience. Before social media, you would only be able to connect with people in person. But now you can connect online with a simple direct message. Social media is now becoming a part of jobs. If part of your job was to post, go live, tweet, or even do an Instagram takeover, do you have the capability to do so? The agents and managers in Hollywood are now requesting a headshot, resume, acting reel, and social media following. So if you haven’t done so yet, create a profile on a few of the channels and start building a following. Start creating your own opportunities by using social media. 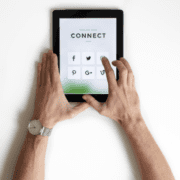 Build, connect, and foster relationships with your audience and become more castable. If you are ready to be cast for a job, contact CGTV at 818-206-0290 or visit our website to learn more.